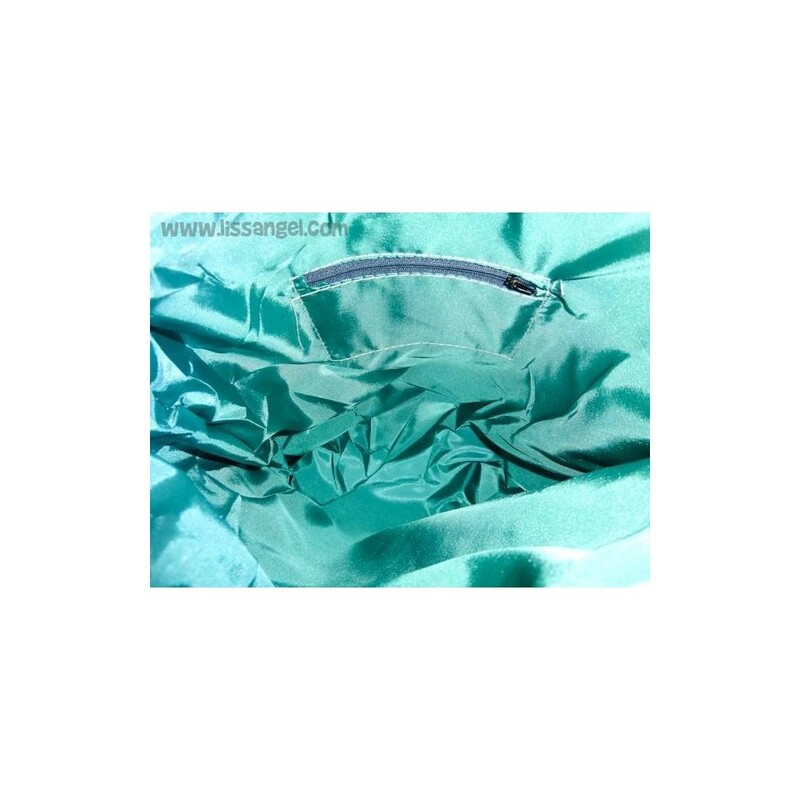 This type of multipurpose bags are ideal for any occasion ... 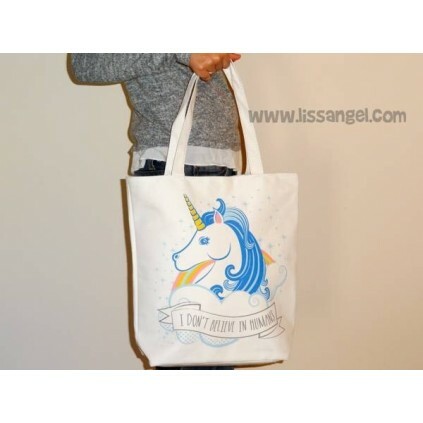 When you have to go shopping and you have to buy a little, when you have to carry some folder or notebook, when you want to carry the snack or food ... They are very practical! 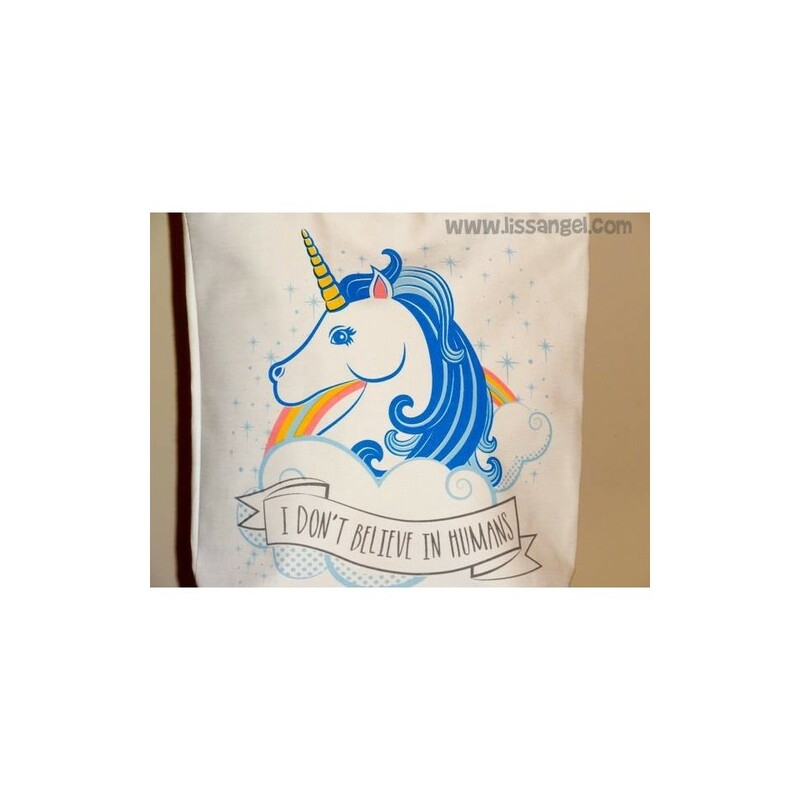 Its design with a magical unicorn is very beautiful. 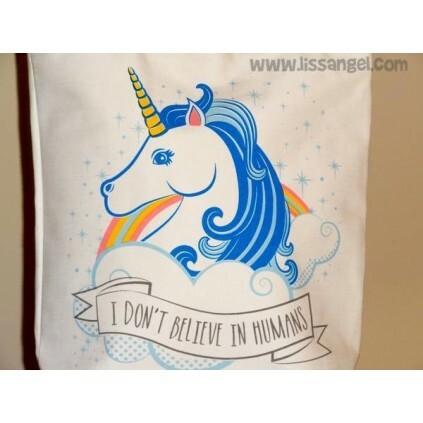 They say that humans do not believe in unicorns... in this case it is the unicorn of the bag who does not believe in humans, as it says in the phrase "I do not believe in humans". 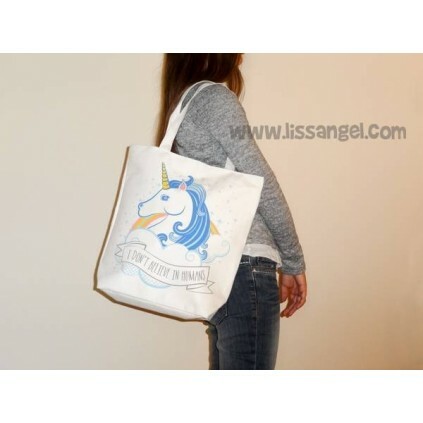 Made of 100% cotton, it is very durable and resistant. 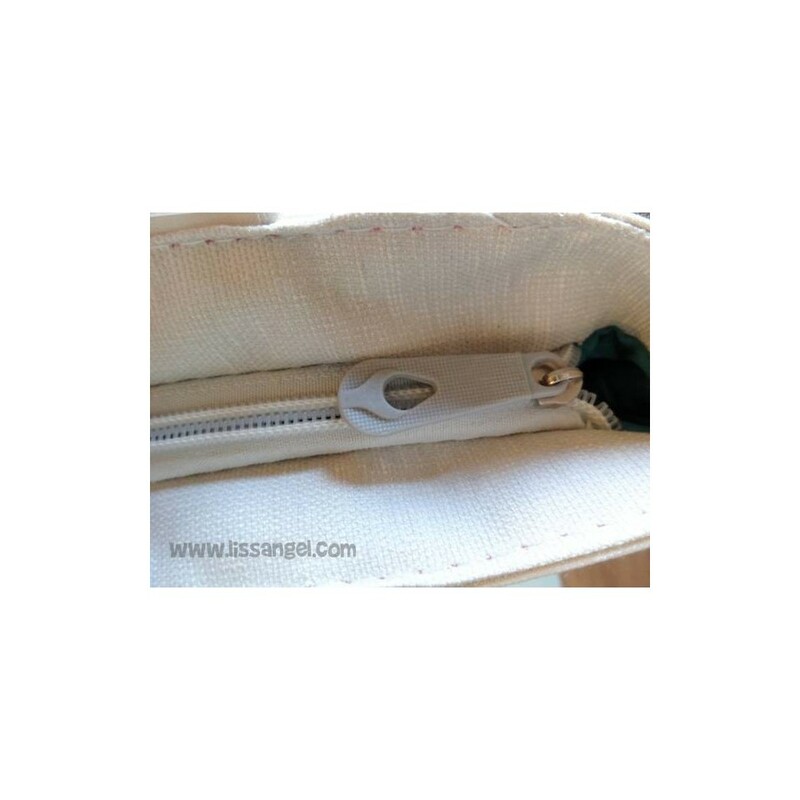 It has a zipper so you can carry it closed without fear of falling or stealing something from inside. 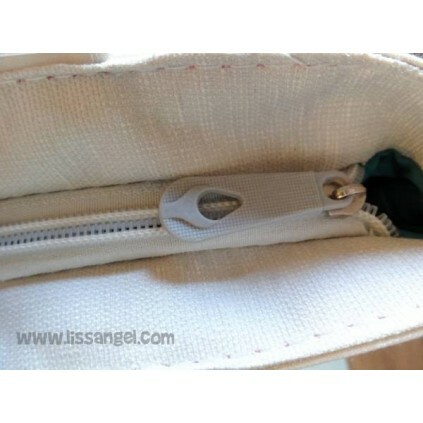 The interior is lined with bright turquoise fabric, and has a small zipped pocket. 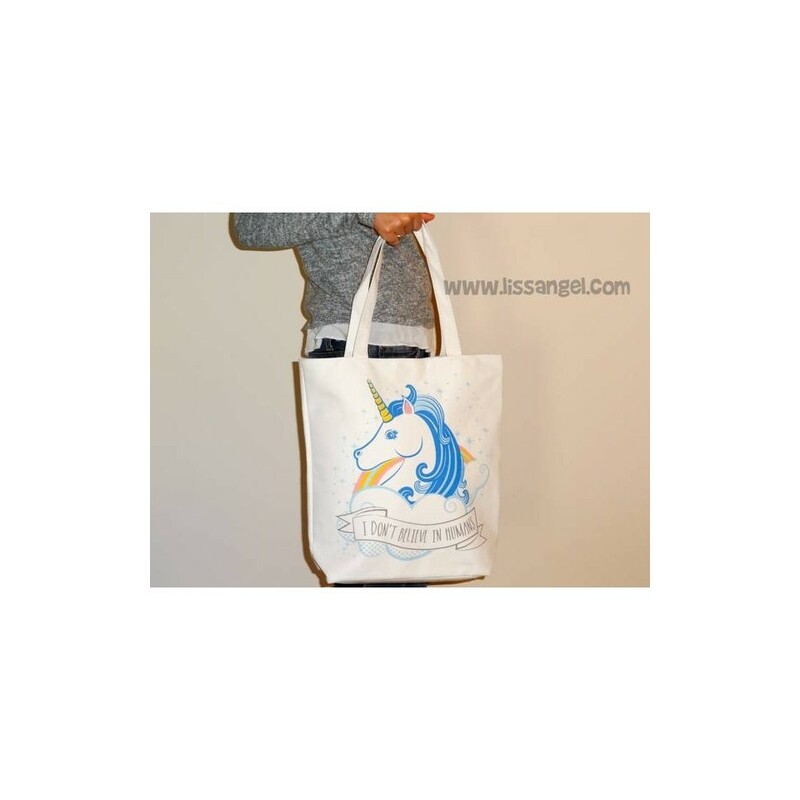 Enjoy our animal bags wherever you go! Bolsa con cremallera, forro y bolsillito interior también con cremallera. 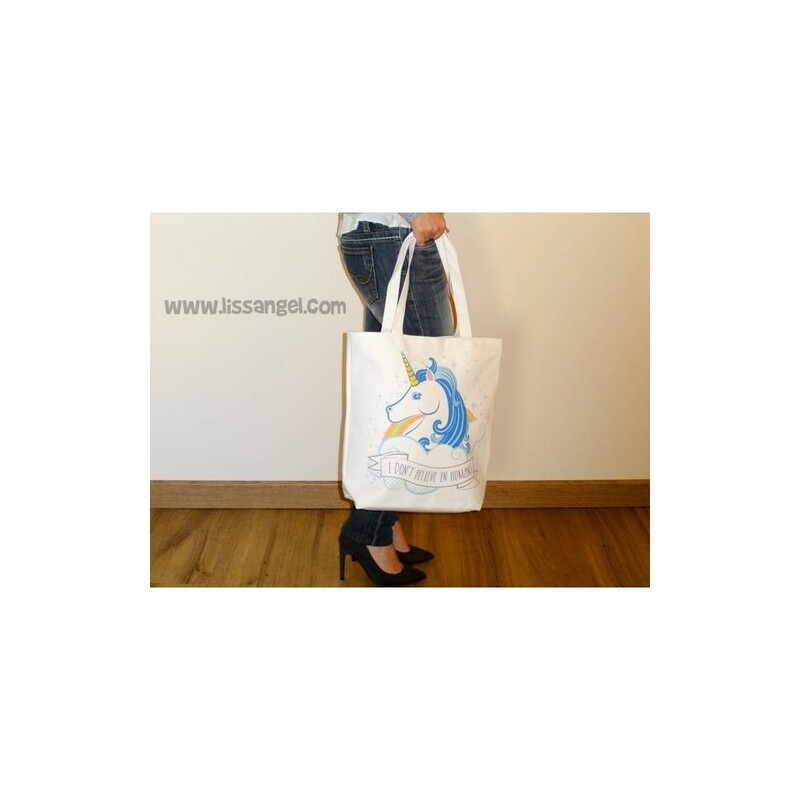 The reference backpack for all cat lovers, special design for children and young people. A beautiful backpack with funny kawaii cats everywhere. Perfect to take to school! More details in the description below.